This past February, Dwyane Wade signed on as a partner. It doesn’t seem like too long ago, but since then a lot has happened at Mission. 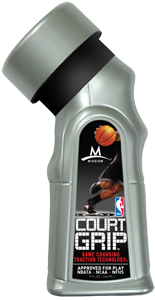 Of note, last week’s hugely successful launch of Wade and Mission Basketball’s newest product, COURT GRIP™. The day started early at Fox and Friends and ended late at Jimmy Fallon, complete with stops for the New York Times and ESPN (among others) in between. After all of that, basketball may never be the same. We have everyone at COURT GRIP™ - from D-Wade to the engineers who literally created the winning formula - to thank. As you know if you’ve followed the trajectory of Mission Athletecare™, we have a unique business model. We believe that in order to improve sports, you’ve got to start small and dream big. We also believe that in order to meet the expectations we set, it is imperative to involve people who are most familiar with the sport at hand - players. Take our newest endeavor: Mission Basketball. The problem of court traction has been around since Springfield. As halftime shows and multi-purpose arenas have grown more and more popular, court conditions have taken a backseat - something that basketball players the world over have noticed. After committing to solve this problem, we went straight to the courts and and were thrilled when the dynamic Dwyane Wade signed on as a company partner. We know that game changers are rare, but believe COURT GRIP™ can change the game of basketball from the ground up. 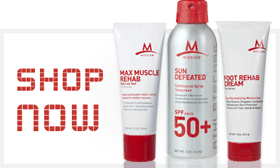 So does D-Wade, so does legendary coach Jim Boeheim, and so do the AAU players who helped in product testing. Everyday we’re hearing back from some of the 30 million basketball players in the United States who are trying COURT GRIP™ on their home courts, and we hope to hear from you too. We mean that. Much of Mission’s success can be attributed to the collaborative process behind the development of our products. Join the grip revolution at the Mission Basketball Facebook page or follow @CourtGrip to stay with us. There’s a lot more to come. COURT GRIP™ is available now from Eastbay.com and Foot Locker!